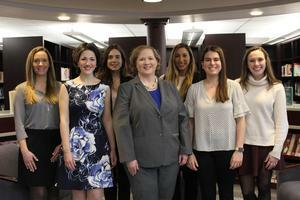 Cassandra Mitsinikos’18, IHA Class of 2018 Valedictorian, recently received two special alumni awards from the nationally renowned Future City organization—New Jersey Alumna of the Year and National Alumna of the Year. 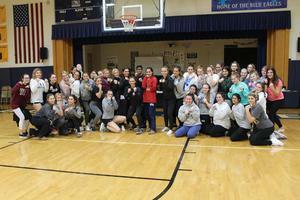 More than 40 of our seniors attended a Parents’ Club-sponsored self-defense class taught by instructor, Lauren Fish, on Tuesday, Feb. 26, 2019. Check out our beautiful Winter 2019 newsletter, featuring a cover shot of Logan Applin'20, Allison Sandt'20, and Tierney Piercy'20 at the 2019 Junior Ring Ceremony. 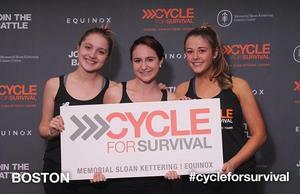 Sarah Cervini'15, Nicole Booth'15, and Olivia Nelson'15 cycled in Boston as part of a Cycle for Survival event to raise money for rare cancer research.